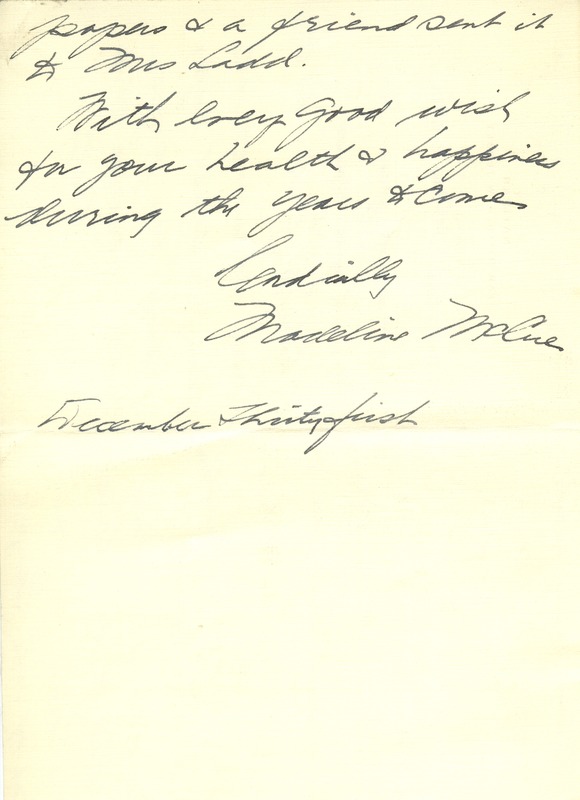 Madeline McCue, one of Kate May Ladd's nurses, writes to Miss Berry, thanking her for sending her the paper cutter for Christmas. 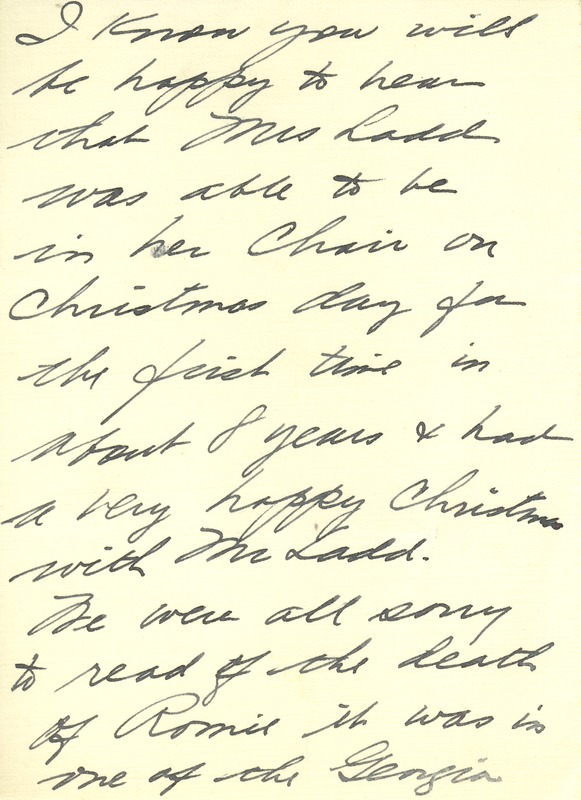 She also tells Miss Berry that Mrs. Ladd was able to sit in her chair for the first time in 8 years and had a wonderful Christmas with Mr. Ladd. She also expresses her sympathy that Roanie died, and explained that she read about it in one of the Georgia newspapers. 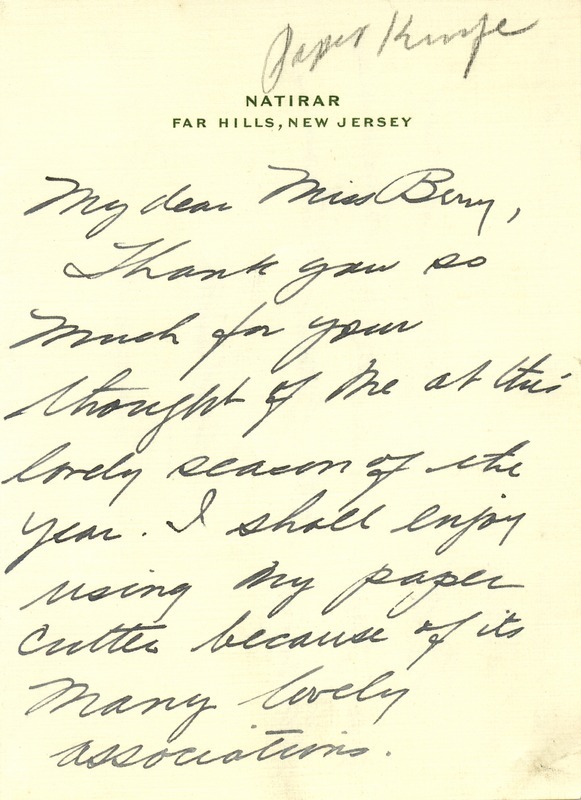 Madeline McCue, “Letter to Martha Berry from Madeline McCue.” Martha Berry Digital Archive. Eds. Schlitz, Stephanie A., Sherre Harrington, Chelsea Risley, Aaron Jackson, Meg Ratliff, et al. Mount Berry: Berry College, 2013. accessed April 26, 2019, https://mbda.berry.edu/items/show/11530.